The Kerala government Friday decided to conduct an assessment of biodiversity loss at the grassroot level in the massive floods that ravaged the state last month. Chief Minister Pinayari Vijayan's office in a Facebook post said data collection for assessing biodiversity loss and impact on biodiversity and ecosystems will be completed within one month. Kerala State Biodoversity Board would conduct the study in all the severely affected districts with the support of Biodiversity Management Committees at local bodies, it said. The findings would then be utilised to prepare a comprehensive plan for sustainable development with the help of national and international funding agencies, the chief minister said in the post. 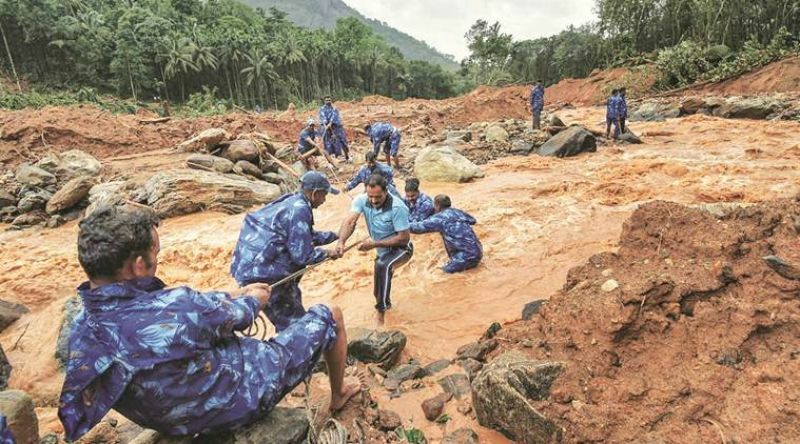 The large number of landslides and massive floods had left a trail of destruction in the state. The death toll in Kerala since the Monsoon set on May 29 had touched 491.